BBK DAV College for women organized a one day UGC sponsored National seminar on the theme, ‘The Massacre that shook the Empire: Revisiting History of Jallianwala Bagh’ to commemorate the 100th year of the terrible tragedy Dr. Satish Kumar Sharma, Director Colleges, DAV CMC, New Delhi graced the occasion as a Chief Guest. 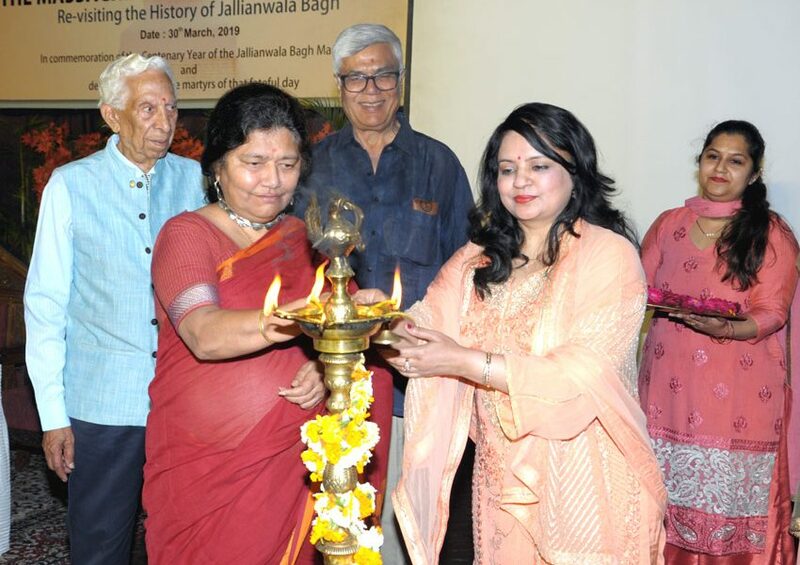 A poignant exhibition dedicated to the martyrs of Jallianwala Bagh tragedy was also inaugurated by Dr. Satish Kumar Sharma. 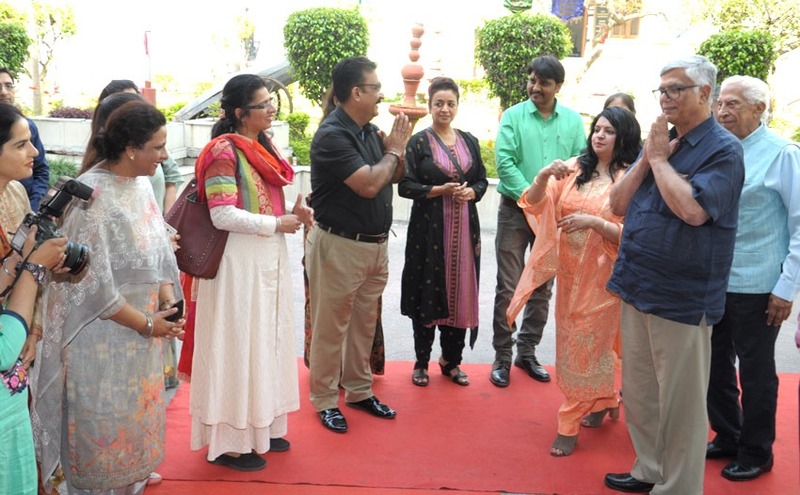 The exhibition was organized by the Departments of Applied Art & Fine Arts of the college. Principal Dr. Pushpinder Walia, in her address, termed the Jallianwala bloodshed as a heinous crime against humanity. 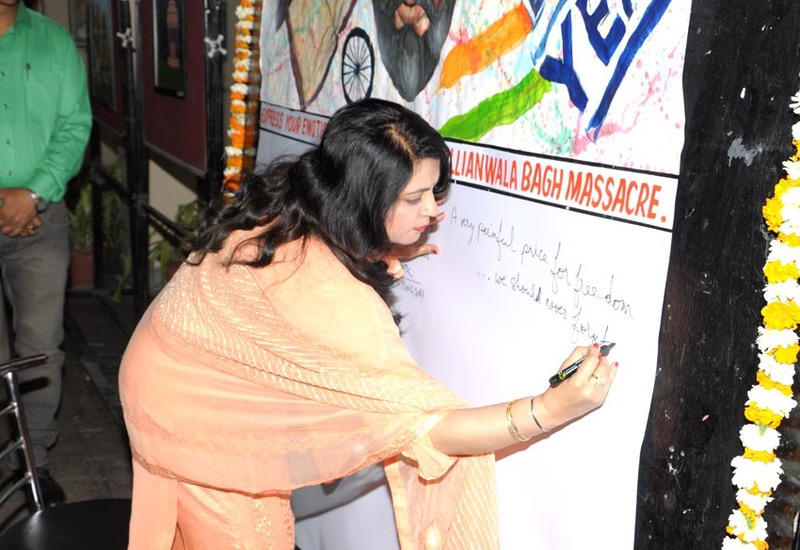 Consolidating her thoughts round the title ‘One thousand, six hundred fifty Rounds: What Really Happened in Jallianwala Bagh’, she presented a heart-wrenching picture of that blood-smeared page from history. 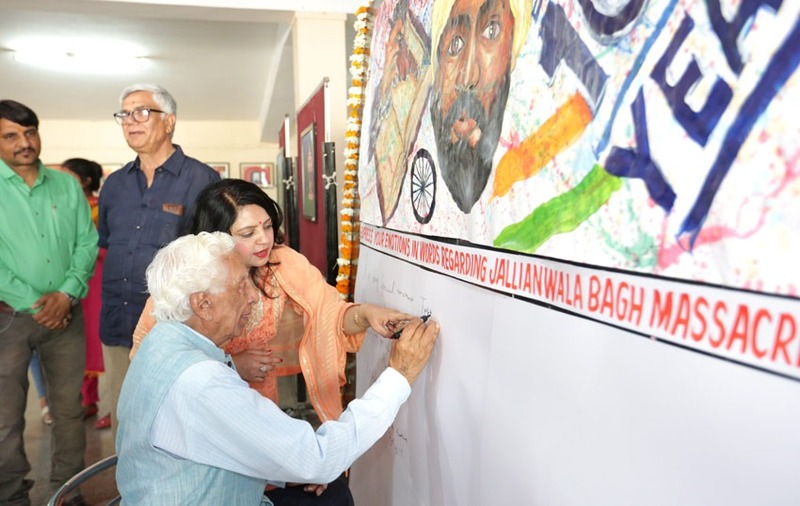 Dr. Walia brought alive the scenes from the gory past with her soulful recitation of Nanak’s Singh’s ‘Khooni Baisakhi’ and ‘The Historic Dialogue between Hunter & Dyer’. The Chief Guest, Dr. Satish Kumar Sharma congratulated Principal Dr. Pushpinder Walia on the successful organization of the seminar. 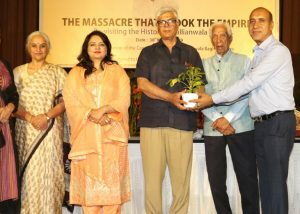 He began by paying a tribute to the martyrs of Jallianwala Bagh massacre and expressed the nation’s gratitude towards them for this sacrifice. 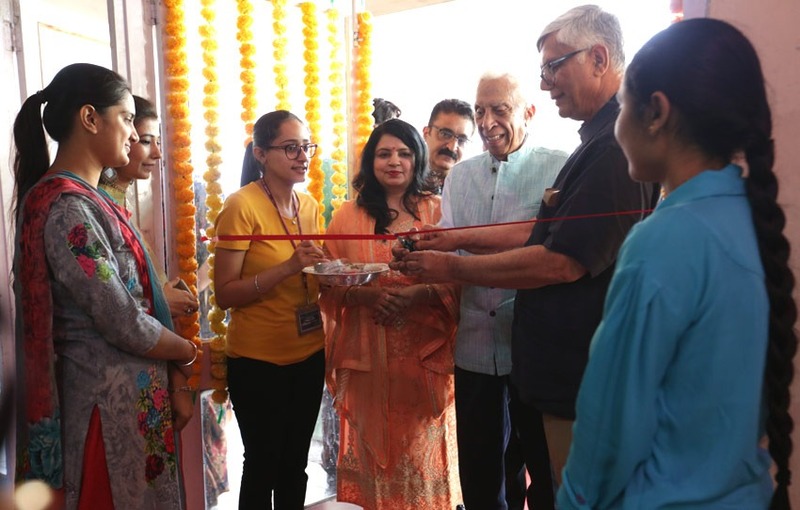 Appreciating the efforts of the college, the Guest of Honour, Prof. (Dr.) Amandeep Bal said that the exhibition put up by the college is the perfect portrayal of the misery which people went through at that time. While presenting her keynote address, Prof. (Dr.) Sukhmani Bal Riar urged the audience to remember the sacrifices of the freedom fighters. 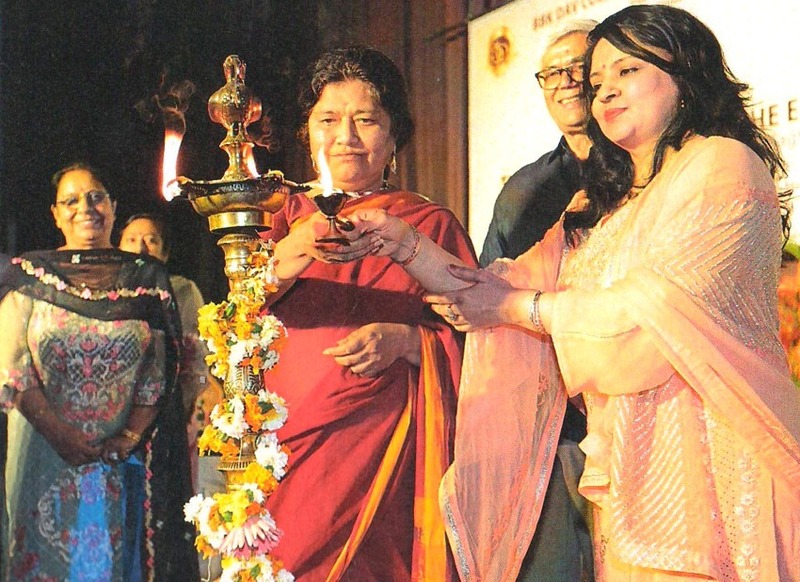 Portraying the historical perspective, she gave a detailed description of various socio-political movements and ideologies prevailing at that time which led to this unfortunate incident. 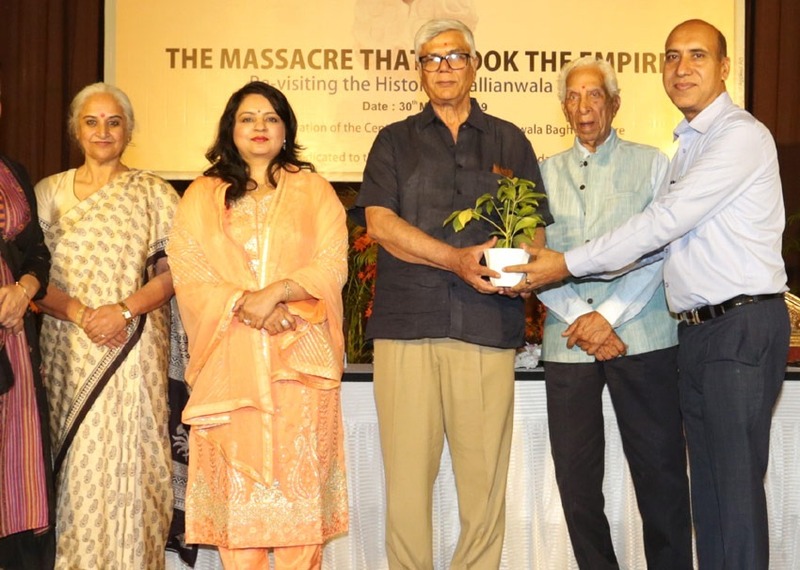 During the first academic session Prof. (Dr.) Sucheta Mahajan from Jawahar Lal Nehru University presented a paper on the conditions prevailing in India after the Jallianwala Bagh Massacre. Prof. (Dr.) Rajeev Lochan, Panjab University, Chandigarh presented his view on Gandhian ideology. In the second academic session Prof. (Dr.) Amandeep Bal pointed out that Punjab had been the epitome of Hindu, Muslim, Sikh unity which was a threat to the British empire, that is why the British Govt. had a stern attitude towards Punjabis. 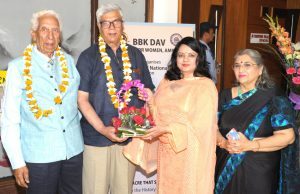 Prof. (Dr.) Raj Kumar Hans talked about the violent and inhuman activity of British Govt. in India as well as in other British colonies. Prof. (Dr.) S.S. Sohal presented the valedictory address. 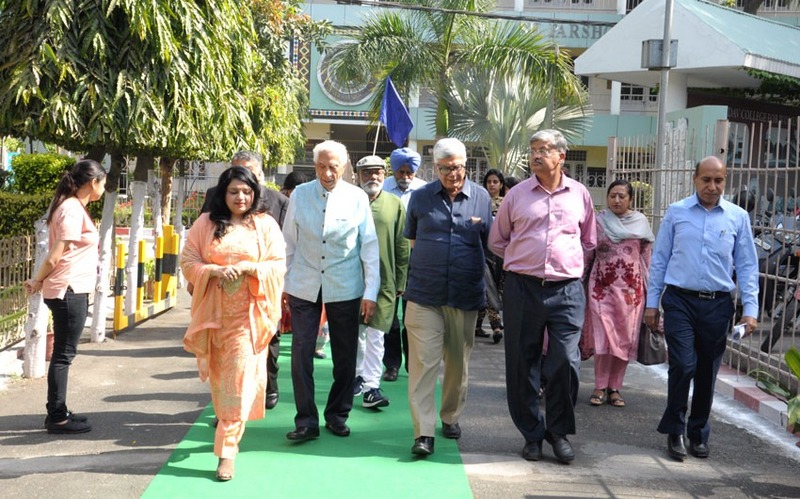 Principal Neera Sharma, Principal Dr. Varinder Bhatia, Prof. Kuldeep Singh, Head, Dept. of History & Namdhari Chair, Central University of Punjab, Bathinda, Dr. Amarjeet, Dr. Sonia Puri, Dr. Harneet, Dr. Shaifali, Mr. Raj Kumar, Dr. Manjeet, Mrs. Amarjeet, Dr. Sunaina Pathania, Prof. (Dr.) Joginder Singh, Head, Bhai Veer Singh Sadan and several research scholars participated in the seminar. Dr. Sushma Manocha, Head, Dept. of English presented the report of the seminar, while the Convenors of the seminar Mr. Naresh Kumar, Mrs. Rajni Mehra and Co-convenor Ms. Shashi Suri, along with faculty members, were also present.